The threat of MANPADS (ground to air heat seeking man-portable missiles) has grown considerably over the last few years. 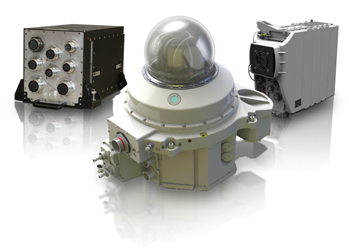 Elbit Systems Intelligence and Electro-optics – Elop’s Multi Spectral Infrared Countermeasures (MUSIC™) systems are a family of Directed IR Countermeasures (DIRCM) solutions for protecting aircraft against heat seeking ground to air missiles. These systems integrate advanced fiber laser technology together with a high rate thermal camera and a small, highly dynamic mirror turret to provide effective, reliable and affordable protection to all types of aircraft and under the full range of operational conditions. Designed in an open architecture that can easily be integrated on any type of aircraft, our systems are under production for several programs around the world – for a large variety of military, VIP and commercial aircraft.